So, my morning started off with my boyfriend calling me to tell me he’d been in a car accident (he’s ok), and could I go in and open the bookstore. So I’ve been a little bit off all day. He’s fine. The other guy is ok. His car is pretty beaten up, so he’s without transport at the moment. I sent him home with his cousin, so it’s been a ladies only day at the bookstore. We’ve been fairly quiet though, so it hasn’t been too bad. But I’ve just had a sort of low level thrumming under my skin all day. It’s probably made me a little snappish. Sorry anyone who came into the store today. I promise I’m normally nice. Yay! Another steampunk book. Mostly. Katherine Tulman is an orphan. She lives in London with her deeply unpleasant aunt and cousin (who, although he never appears on screen as it were, reminds me of Dudley Dursley being obese and spoiled). The bulk of the family money is held by Katherine’s paternal uncle, known as Mr. Tully. He is and eccentric inventor and has not been in contact with his sister-in-law for years, but disturbing rumors have come of excessive spending. Aunt Alice has dispatched Katherine to the family estate, Stranwyne Keep, to get evidence that Tully is insane. Then Alice can have him committed and take control of the family fortune. Katherine, while she might feel sympathy for anyone who has earned Aunt Alice’s ire, is nevertheless committed to her plan. If Aunt Alice gets all of the family money for her disgusting son, then Katherine, who balances the household books, has a much better chance of securing enough funds to become independent. Katherine journeys to Stranwyne and discovers that Uncle Tully is a genius. He has invented things that wouldn’t seem out of place in da Vinci’s workshop. A steampowered dragon takes up most of one workshop. A deep tunnel connects the estate with the outside world. Two entire villages of workers are supported by the estate, along with a gasworks, porcelain factory, and steam works. Everything is handled beautifully; hundreds of people have been snatched from the workhouse and now have clean homes and good jobs. The workshop produces marvels. But, there is no denying that Uncle Tully isn’t quite right. Then there is his assistant Lane. Lane is handsome, but rude. And he obviously doesn’t trust Katherine. What neither of them realize is that an even greater danger threatens Stranwyne and everyone in it, especially Katherine. The book’s cover is very steampunk. But, you see now why I said that it was only sort of steampunk. Uncle Tully’s workshop has miracles and marvels of steam power, but the rest of the world is very much the typical Victorian England. In a way, I get the best of both worlds. The steam powered toys from the workshop are so unusual that lots of time gets devoted to them, whereas in a straight steampunk environment some of the awesome details get overlooked because they are normal for that world. In terms of the actual story… I did like it very much. 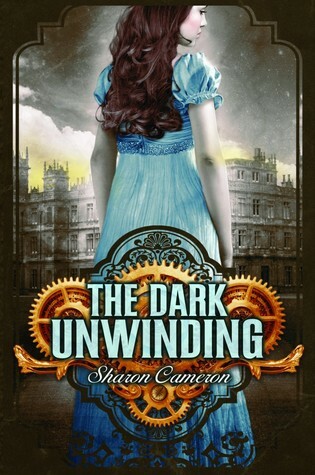 It was much more of a Gothic romance than a steampunk story at its heart. There is the almost haunted house; the brooding, dark hero; the possibly insane genius; the threat of danger at every turn. Even Katherine herself seems to teeter on the brink of madness after a few nights in the house. There were moments where I didn’t especially like Katherine. I’m not sure I was supposed to though. Even after she sees how many people the estate is supporting her plans to turn Mr. Tully over to the doctors and Aunt Alice remain unchanged. In trying to be practical and protect herself she has given herself tunnel vision. But, that’s part of her character development rather than a flaw in the writing. One of the coolest parts about the book is that Stranwyne Keep is actually based on a real place. In the 1850’s the 5th Duke of Portland succeeded to the title and took over the management of Welbeck Abbey in Nottinghamshire. Over the next several years he had extensive tunnels constructed, moved most of the furniture out of the abbey, and had all the rooms painted pink. The duke was remarkably eccentric. He avoided contact with his servants and had his rooms refitted so that written messages could be passed back and forth through mailboxes. 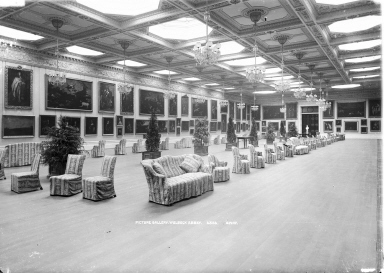 The estate did have its own gasworks as well as an underground library and ballroom. Rumors of madness, disfigurement, and depravity surrounded him, but no apparent legal action was ever undertaken. I’m sorry about the car accident – hope your boyfriend is able to get his car up and running soon. Glad nobody was hurt!